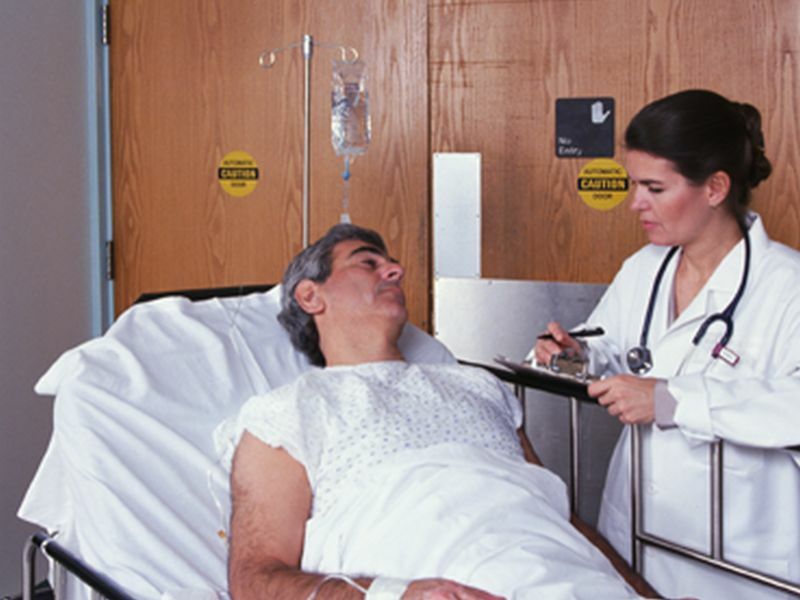 A study of more than 1.6 million adults treated in the emergency department after fainting -- medically known as a "syncope" -- found less than 1 percent had a blockage in an artery leading to the lungs, or pulmonary embolism. The implication is that when patients seek care in an ER following a fainting episode, they do not need hospital admission or unnecessary invasive testing, said study lead author Dr. Giorgio Costantino. Simple observation and heart monitoring is usually all that's called for, said Costantino, a cardiology researcher in Italy. "We think that it is very important to do the right tests for the patients that need them," he said. "But performing diagnostic tests can also be dangerous, and cause more harms than benefits." Only when fainting can be linked to palpitations (rapid or irregular heartbeat), shortness of breath, chest pain or other major disorders is more aggressive medical attention warranted, added Costantino, of the Ospedale Maggiore in Milan. However, one U.S. expert voiced more caution. Dr. Gregg Fonarow noted the new study also found that among certain groups of patients, blood clot risk was as high as one out of every 25. That "could not be accurately described as rare," said Fonarow, director of the University of California, Los Angeles Cardiomyopathy Center. While Fonarow agreed that fainting often has "entirely benign" causes, he said some cases are "life-threatening." He therefore stressed the continuing "critical" need to consider blood clots as a possible cause when diagnosing fainting patients. Fonarow played no role in the study. Pulmonary blood clots have long been recognized as one cause of fainting, but research on its prevalence has been scanty, the study authors said. By definition, fainting occurs when patients experience a temporary loss of consciousness "caused by a global brain reduction in blood flow," said Costantino. Fainting is common, with one in every four people fainting at least once in their lifetime, according to background research with the study. Costantino said young people are particularly prone to a type of fainting known as "reflex syncope." This can be brought on by a drop in blood pressure or heart rate in reaction to pain or particularly stressful emotions. Still, fainting is not usually a cause for undue alarm, he said. When someone faints, have the person lie down, try to take a pulse, and raise the legs, "since most faintings are due to hypotension (low blood pressure)," Costantino said. However, he agreed with Fonarow that some fainting spells have a more serious cause. These can include a heart rhythm abnormality, a rupture of the aorta blood vessel or a blood clot, he said. To determine the prevalence of lung blood clots among fainting patients, Costantino and his associates pored over 2000-2016 data from hospital emergency rooms. The hospitals were in four countries: Canada, Denmark, Italy, and the United States. In the end, pulmonary blood clots were found to have occurred in up to 0.55 percent of all patients seen by ER staff after fainting. Among hospitalized patients, between 0.15 percent and 2.10 percent had blood clots that traveled to their lungs. The findings were published online Jan. 29 in JAMA Internal Medicine.